SoundCloud is the worlds leading social sound platform where anyone can create sounds and share them everywhere. 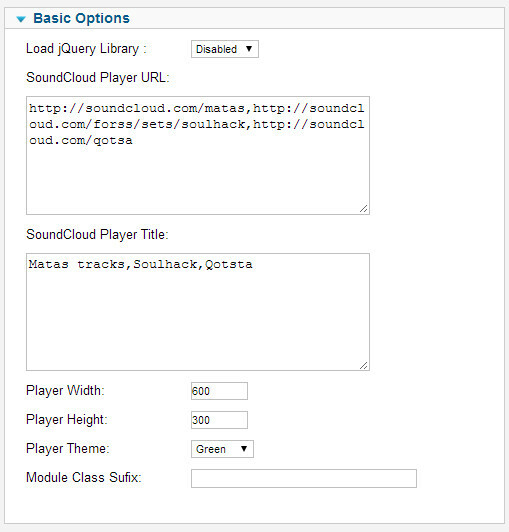 Recording and uploading sounds to SoundCloud lets people easily share them privately with their friends or publicly to blogs, sites and social networks. Highly configurable and backed with a 24x7 Customer Support package. This module is cross browser compatible and works on all the modern browsers. Bug Free and works great! Compatible with Joomla 1.5.x , 2.5.x , 3.x.x. The Downloads Access and Extension Support is valid for 6 months from the date of purchase.